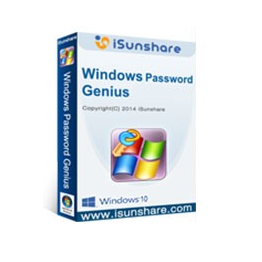 iSunshare Windows Password Genius is the leading Windows password reset software with the highest reputation in the industry, which supports users to reset forgotten Windows 10/8/7 password without damage to the computer. The software also developed the Mac version and Android version, which is convenient for the users to create the password reset disk with any available device. 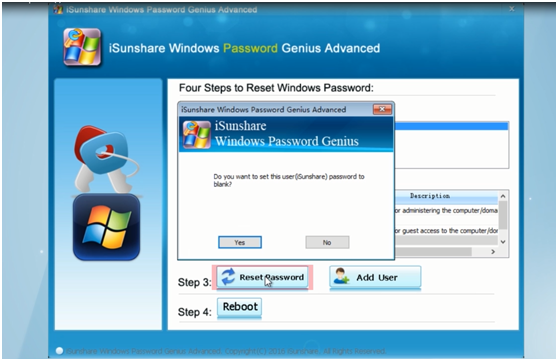 Although there are a great number of Windows password recovery tools available in the market, iSunshare Windows Password Genius stands out from the crowded for its powerful functions, as other applications sometimes damage the computer or come with unstable features. This Windows password reset software from iSunshare is a reliable solution to unlock your PC. It can help users to reset/remove administrator/users password, Microsoft account password and domain administrator/user password. Unlike other applications, it can take effect in all Windows, covering Windows 10/8/7/Vista/XP/2000 and Windows Server 2000/2003/2008/2011/2012/2016. 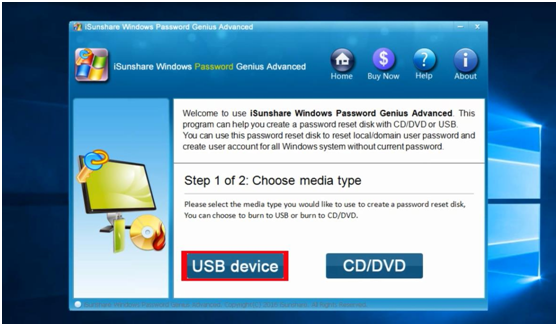 iSunshare Windows Password Genius allows users to create the password reset disk in two steps with the media type: CD/DVD/USB. Most people will choose USB as it is flexible to carry. Firstly, the software should be downloaded and installed on a working computer and the USB is connected with the computer. Then, users can see the user interface where they can choose the media type and click Begin Burning to build the password reset disk. Before they are available to remove/reset Windows password, they need to boot the locked computer from USB according to following the instructions their vendors provided. In the end, they can choose the Windows login account to reset/remove its password. Moreover, the software enables users to create a new user account with the account name and password, which can help them to access the computer. Every operation is safe here without any risk to the computer data. Click the link below to free download this Windows password reset disk software. Its powerful features will never let you down.